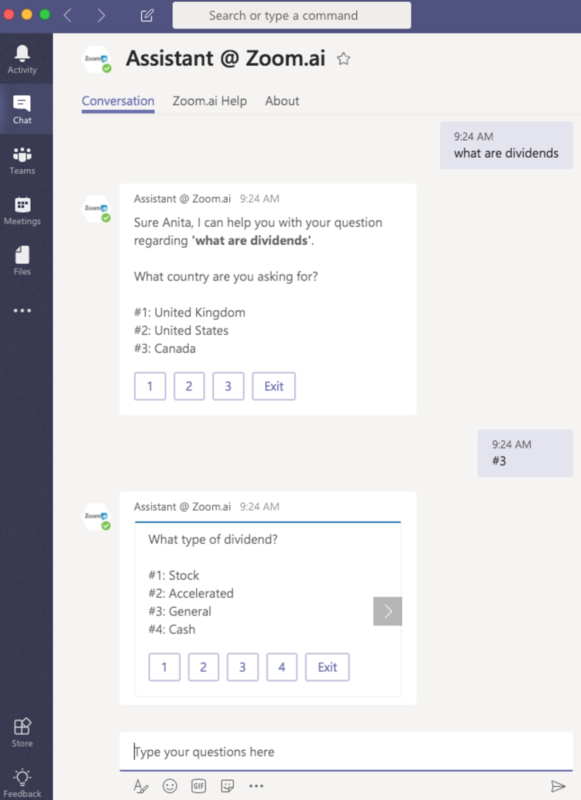 With Zoom.ai’s expanded enterprise knowledge base, admins can automate and easily configure responses to frequently asked questions that may require multiple questions asked of the user. These typically provide reduced inbound questions of major departments within your organization (consider employees in the HR and IT departments who often take repetitive calls or inbound questions). Create a variable to be used as a unique identifier to store data. You can give it a meaningful name (e.g. "wificode1"). 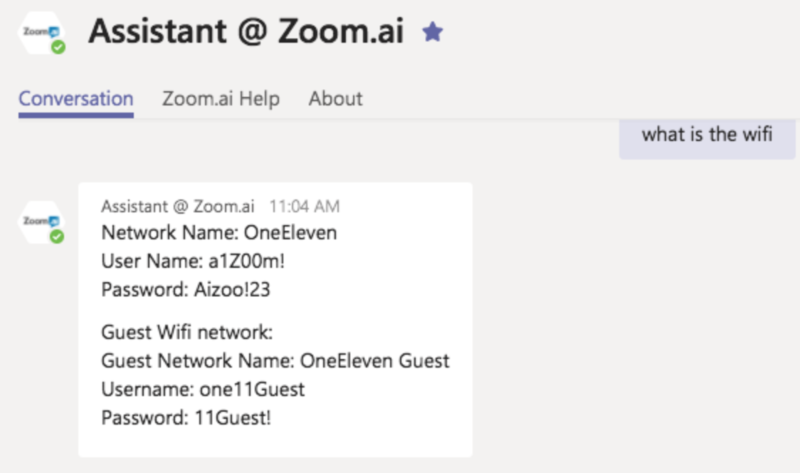 While in chat, say "what's the wifi password"
Your automated assistant will then provide you with the answer recorded previously. Interested in learning more? Contact us for a demo today.